Quote: if it aint broke dont fix it! About Yourself: i'm a 25 year old headhunter. got into the hobby by looging onto fishforums when i had a problem with my basic fish tank and never looked back. i dont own any fish/plant related books and have learnt everything from members of that planted tank forum. 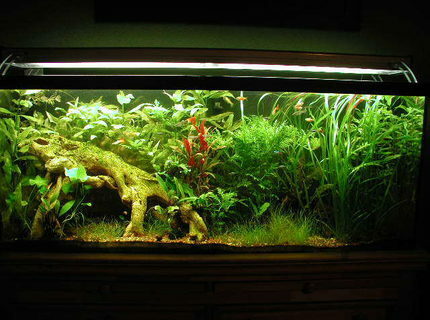 i actually have 3 planted tanks the 180, a juwel rekord 60 with a sandy layout and a 50G cube. Corals/Plants: Amazon swords (bhleri), java fern, tiger lotus lillys, echinodorus "red flame", glosso, Echinodorus "rubin" var "Narrow", java moss, anubias nana and anubias nana petite. 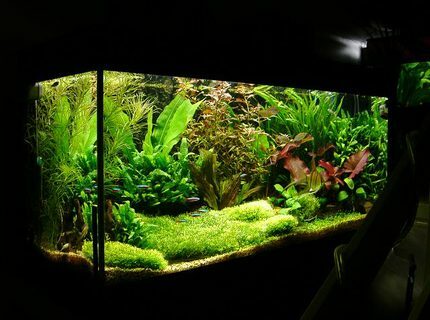 Description: this is the last layout in this tank (Juwel rio180) i am waiting for the current glosso carpet to fill out before posting the current pic. but for the time being here it is with a riccia carpet. Quote: The computer allows you to make mistakes faster than any other invention, with the possible exception of handguns and tequila. Fish Kept: Pseudotropheus demasoni "Pombo Rocks" Pseudotropheus acei "Luwala Reef" Pseudotropheus elongatus "Usisya" Labidochromis caeruleus "Lion's Cove" Labeotropheus fuelleborni "OB"
Corals/Plants: Pogostemon helferi (Downoi), Pogostemon stellata "Broad-leaf", Cryptocoryne wendtii "Green Gecko," Hottonia palustris, Anubias barteri v nana, Cryptocoryne spiralis, Limnophila aromatica, Sagittaria weatherbiana, Hydrocotyle verticellata, Ammania sp. "Bonsai," Rotala rotundifolia "Colorata," Hemianthus micranthemoides "Erect," Hemigraphis traian, Hydrotriche hottoniiflora, Cyperus helferi, Cryptocoryne ciliata, Elatine triandra, Potamogeton gayi, Riccia fluitans, Micranthemum umbrosum, Limnophila sp., Hygrophila polysperma "Rosanervig," Microsorum pteropus "Narrow," Ludwigia repens "Rubin," Ranunculus papulentus, Anubias barteri var nana "Petite"
Advice: Never fight a land war in Asia. About Yourself: Been in the hobby for almost 4 years. 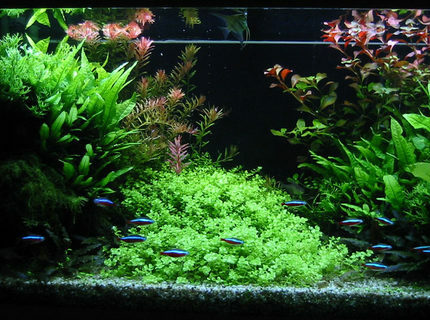 Aquascaping is my passion as well as the science. 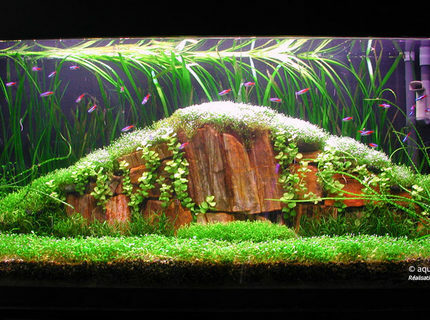 I now write for Practical Fishkeeping magazine and am their high-tech planted tank expert. 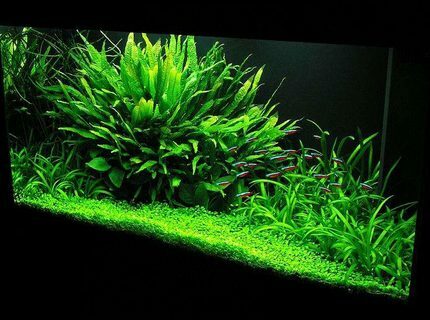 I also moderate on three planted tank internet forums. Married with two girls and a dog. I currently service Harrier jump jet ejection seats for a living. Advice: The internet is a great source of info with plenty of good forums. Be wary of the hear-say factor though. Listen to experience. Advice: Have to trim riccia every day... Glosso requiers a lot of CO2...and needs a rich substrat. Advice: keep it simple to begin with, improve on it later. 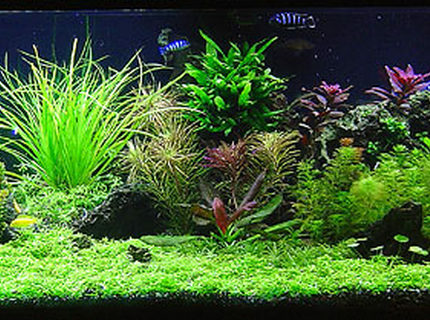 Quote: You can only obey to nature keeping an aquaria. 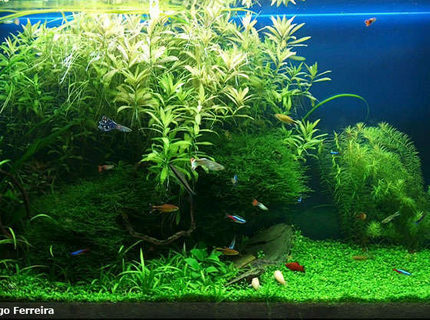 About Yourself: I'm an Information Technology professional but my brain is under the water with my plants. Fish Kept: 14 Cardinal Tetras, 5 Angel Fishes, 4 Coridoras spp, 7-8 Otocinclus Affinis, 6-8 Caridina Japonica. 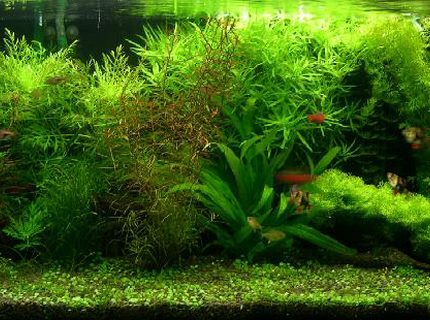 Corals/Plants: Micranthemum umbrosum, Rotala rotundifolia, Ludwigia repens, Microsorum Pteropus, Microsorum pteropus "Windelow", Anubias Barteri nana, Cryptocorine wenditi "brown"
Advice: Know each tank you set up the most you can, try to know each plant signal, try to find nutriet shortages as soon as you can. About Yourself: Been keeping fish tanks for 15 years or so, this is my first attempt at a planted tank. Have had 10-125 gal tanks saltwater, reef, and fish only. This hobby never gets boring. Advice: Do it the right way, not the quick way. Description: Updated 2 month picture, to me this tanks just gets nicer an nicer. Lots of pruning! Quote: There is no spoon. Fish Kept: Poecilia Reticulata, Guppy; Xiphophorus Maculatus, Platy; Paracheirodon Inessi, Tetra Neon; Hasemania Nana, Tetra Silver Tip. ; Ancistrus sp. ; Otocinclus affinis; Corydoras Paleatus, Aenus and Panda; Crossocheilus Siamensis, SAE; Neocaridina Denticulata Sinensis, Red-Cherry Shrimp. 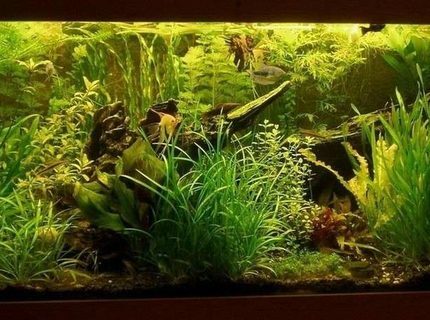 Description: My first big planted freshwater aquarium. 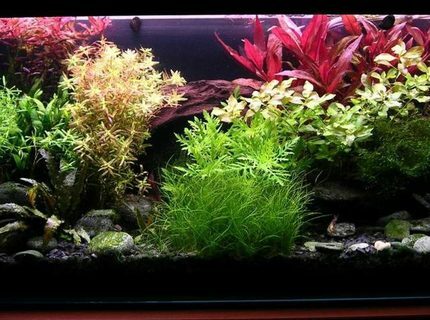 About Yourself: I set up this tank in January 2006. This is my first real tank. I used to have a tiny one when I was a child. Advice: Do not exagerate with water tests, just let it grow!